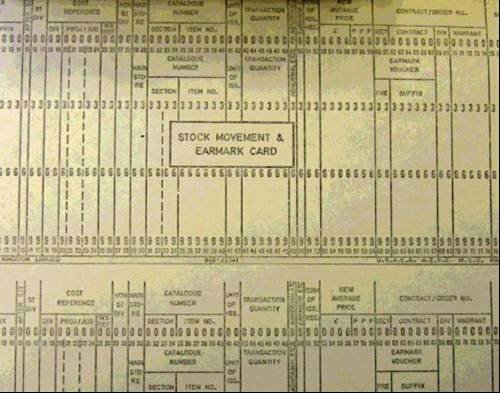 Long before RFID, this was a cutting edge way to track movement of stock. This close-up photo shows a stock record card used with Chris Broad's mechanical tabulator, also featured in the gallery. We're inviting Computer Weekly readers to send us photos and videos of the oldest IT equipment they've held on to, and to share their excuses for hoarding it. We had around 70 photos last year! Retro computer games photo gallery. If you have some kit you want to show off, send your pictures to faisal.alani@rbi.co.uk.